Midwest Conference On Deaf Education - Together We Can! Please note the change in location for this year's conference. 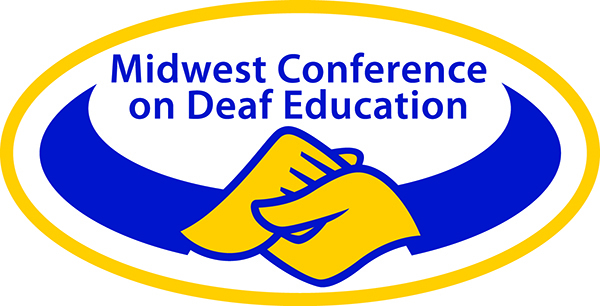 The mission of the Midwest Conference on Deaf Education is to provide professional development opportunities to individuals who work with deaf and hard-of-hearing youth, birth to 21. The collaboration of various stakeholders in the field at this conference will allow for the sharing of expertise and information regarding current best practices in deaf education with one another and with parents. It is our goal that this collaboration will promote the academic outcomes of deaf and hard-of-hearing youth, enabling them to reach their maximum potential and become productive members of the Deaf community and society. Sioux Falls is home to a wide variety of hotels. Read more to see which hotels we have arranged special pricing for. Interested in becoming a vendor? Click here, for more information on how to sign up to have an exhibit at the MWCDE.